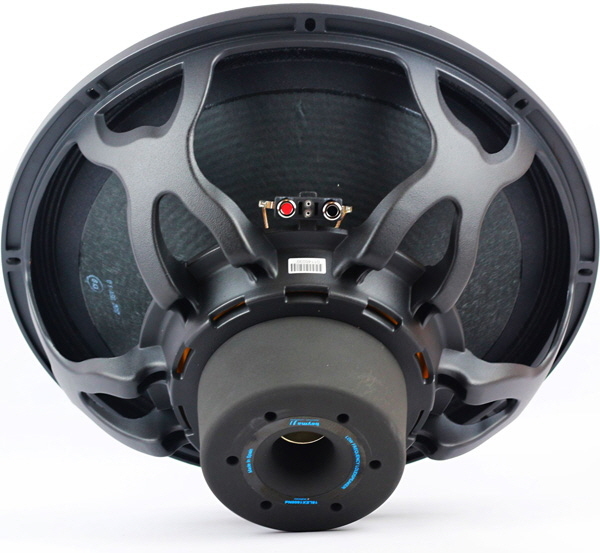 The P18LEX is a high performance cardioid subwoofer. The cabinet is loaded with one long excursion 18” neodymium transducer, utilizing a NCR (Neck Coupling Reinforcement) membrane for a power capability of 1.600 W (RMS). The extended controlled displacement (29 mm Xmax) sets new limits from the mechanical point of view. The P18LEX is tuned extremely deep down to a frequency of 27 Hz for impressively musical low frequency information. 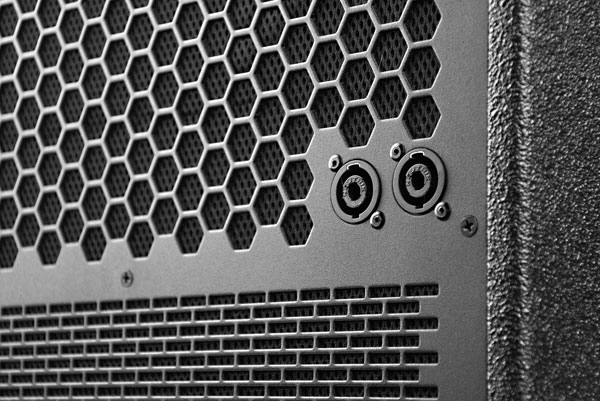 The DFP (Double Flared Bass-Reflex Port) includes a highly efficient waveguide, which reduces noise from airflow down to a minimum. The MCC (Matrix Cabinet Construction) design ensures for a highly stiff and stable wooden cabinet enclosure, which suppresses resonances highly efficient. The cabinet is constructed from marine plywood and is covered with weather and impact protecting NPP (Nova Polyurea Protection) finish. 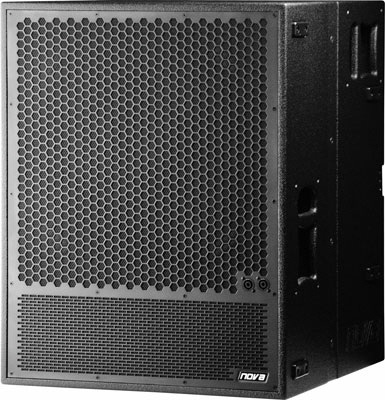 The front of the loudspeaker is protected by a robust metal front grill with acoustically transparent foam. Each side includes two handles while one additional handle is included at the rear. One M20 bolt at the top of the subwoofer and can be used as base for a distance rod or to fix the stacking adapter. The acoustical and mechanical design enables the P18LEX for stacked or flown applications. 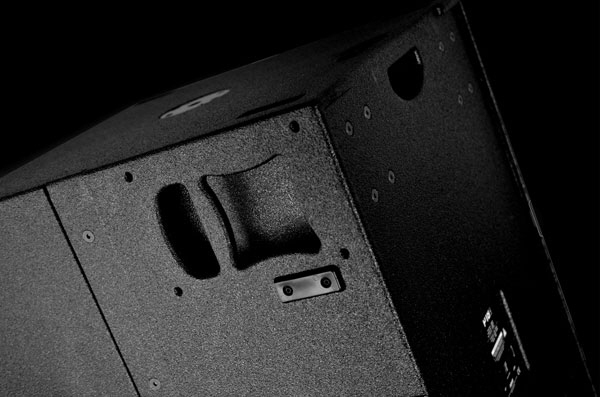 The optional two-point rigging hardware is recessed into the cabinet enclosure, which enables the P18LEX for flown applications in columns of purely subwoofers or at the top of a P9 line array module.